If you are looking to invest in a good help desk software app for your business, but you’re not sure which solution is the best one, then you have come to the right place. Freshdesk is a very popular help desk solution. In fact, many experts claim its the best one on the market. However, you should always do some research before you decide to invest in such a serious element of your company as a help desk system. 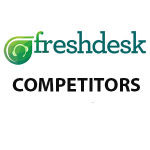 That’s why our B2B experts selected the most popular Freshdesk competitors, so you can easily compare various solutions and pick the most reliable one that will meet all the needs of your business. You may also consult our comparison of top help desk software in 2019 for further details. Pricing: Free for unlimited number of agents. Four paid plans are available starting at $19/agent/month. After thoroughly examining all popular help desk solutions on the market our B2B experts can confirm that Freshdesk is indeed the best service of this type currently available. Freshdesk received the highest rating in our evaluation which puts it in our top help desk software ranking. The vendor offers a very flexible pricing plan, with a freemium version of the tool available for up to 3 users and great free trials for all plans that allow you to test all the key features before purchasing. You can easily sign up for Freshdesk free trial here and try their service on your own. You can use a single panel for all your agents with status updates of customer emails. Agents can collaborate and help each other, and ensure all emails are answered. It’s possible to use Freshdesk’s agent-collision detection tool to prevent two agents responding to the same email from a customer. 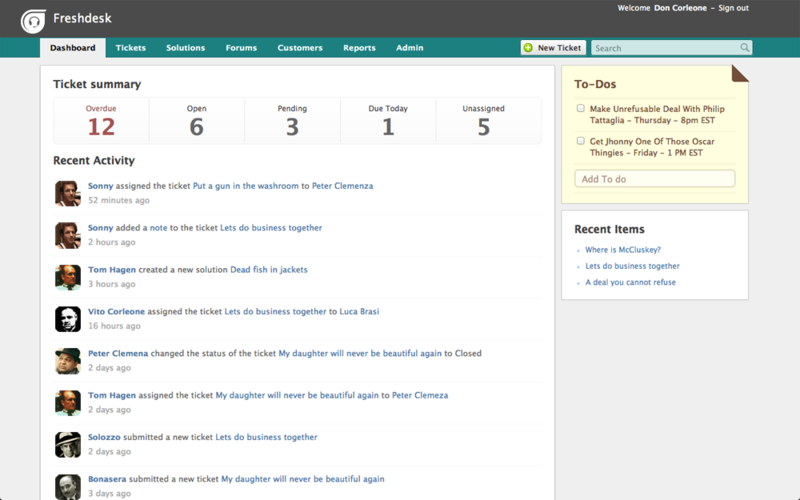 You can label tickets quickly and accurately and route them to the right agent for quick response and resolution. Freshdesk also lets you customize your fields and tickets with ticklers in a snap as per your business needs. Freshdesk enables you to automate your customer support service from dispatching tickets to resolution, and make sure everything is categorized, assigned, and prioritized correctly. With Freshdesk you can monitor customer posts about your product in social media and resolve issues that can escalate, or use opportunities to promote your product. The app will also make your support more visible across Social channels. If you’d like to learn more about Freshdesk and its features, integrations and pricing plans you can read our Freshdesk reviews. You can also try out their service on your own with the great free trial plan they offer. You can sign up for Freshdesk free trial here.  One of the Freshdesk competitors you can consider is Desk.com. You can gather more information about this tool from our detailed review of Desk.com if you like, or read the useful summary below. You can view and answer all customer inquiries in one spot. With the Universal Inbox, you need not switch tools and windows to access email, Facebook, Twitter, phone, chat, and discussion boards. It is easy to use and more powerful than your normal email. You will never miss a case again as Desk.com gathers customer interactions from all channels such as phone, chat, email, and social networks in one place, making it easy for your agents to monitor and respond to queries. You can categorize the queries with Case Filters using custom fields or labels. This makes it easier for agents to track status and priority cases. Help customers help themselves. You can customize your Support Center with the Desk.com editor, and choose your color and contact forms, or tweak the design with HTML and CSS to match your website. The Content Manager allows you to update and customize the Support Center for different brands. You can also add the built-in community discussions feature to your website. Users have pointed out a couple of drawbacks in Desk.com. It takes a long time to attach photos and other attachments. Plus, users are not able to see the original email when people forward emails. Another popular alternative is Zendesk. You can find more information about this service in our detailed review of Zendesk or simply read our brief summary below. Zendesk allows you to organize your customer support process fast with easy deployment. You can gather all your support channels – emails, chat, web, social media – in one place for easy tracking and response. Zendesk also allows you to use time-saving features like ticket views, triggers, and automation to streamline support conversations. Great self-service support. The app will Empower your customers and reduce your workload by offering a 24/7 online self-service portal that has a knowledge base, community forums, and intuitive FAQ search. Branding and customizations enable you to customize your help desk to your corporate brand and feel with user-friendly tools. Zendesk users have pointed out a few drawbacks in the tool: the product does have a fair amount of outages. It also is sometimes very slow to load. Defining reporting categories could also be made simpler. You may also consider TeamSupport as your alternative solution. Our experts have given TeamSupport a high rating which earns it a spot in our help desk software ranking. You can get more information about this tool from our detailed review of TeamSupport or read on to get a general overview of its capabilities. The app lacks a website widget which can make it easier for customers to submit information to TeamSupport. The vendor could also improve its customer service, plus there is currently no method to conduct a side conversation within TeamSupport with internal subscribers. Veeva CRM is a powerful tool for customer management with built-in help desk management capabilities. You can find out more about this program and its features from our detailed review of Veeva CRM. The tool will simplify content management and allow you to easily create and distribute content across channels. Veeva has an easy-to-learn environment based on actionable insights, intuitive dashboards, smart reports, and consumer web experience to help you to make smart business decisions. You can scale up or down according to your needs with easy implementation of the right configurations, data sharing rules, and security settings online and offline. Veeva also makes it possible to test and preview content across channels before distribution. Our last competitor of Freshdesk is Salesforce Sales Cloud. While certainly impressive, the service is not as reliable as Freshdesk or Zendesk. You can learn more about the features, pricing, and integrations available for this tool from our detailed review of Salesforce. It allows you to close more deals. You can use the app’s Opportunity Management feature to get insights. It also allows you to use Contact Management to get a complete view of customer profile including activity history, discussions, communications, and social mentions. There also the Sales Collaboration module to track deals and look for competitive information. You can get more leads. Salesforce allows you to track clicks, create campaigns, and automate the whole process to generate quality leads and reduce the sales cycle. The Partner Management, Sales Data, Marketing Automation, and Lead Management apps help you to create a systematic pipeline from lead to conversion. Users have pointed out that Salesforce Sales Cloud can do with improvements to the following features: reporting, emailing, inventory management, and mobile interaction. It’s also primarily a sales management solution, so it’s not ideal for companies who want a help desk only service. It should offer an efficient ticket module to help customers who are not comfortable using phone or email for their issues. A well-stocked knowledge base stocked with helpful articles and tips which can enable customers to solve issues on their own. Your agents can also use it for reference. You should be able to prioritize queries and route them to the correct departments and agents. Flexible problem resolution, tracking, and reporting tools. It should provide a web-based interface that can be accessed from anywhere, anytime. The app should seamlessly integrate with your existing infrastructure without the need for reorganization. The app should be scalable so that you can continue using it to meet your growing needs and customer demands. The vendor should provide quality customer and technical support round the clock to help you overcome bugs or other issues quickly without much downtime. Why You Should Get A Help Desk Software? The software efficiently handles pre-and post-sale matters both online and offline. Web-based app smoothens the communications with customers and helps in providing efficient customer service. You can get rid of your phone call management service and use your agents more effectively. Helps you offer 24/7 technical and customer support as well as self-help options. You would be able to automate processes like marketing trends, movement of goods, stock records, database maintenance etc. You can use the software’s analytics features to create business plans. The system boosts employee efficiency by offering technical and physical data whenever agents need it. The software helps to detect and manage problems as well as streamline processes. The help desk app efficiently manages the audit trail and frees up manpower for more important tasks. An efficient help desk system detects system glitches, helps in overall improvement of management efficacy, and boosts business growth. After a careful analysis of all the most popular help desk solutions on the market, our experts concluded that Freshdesk is currently the best possible choice for a company that seeks a reliable and efficient help desk service. The vendor provides a great freemium and free trial plan that will let you test the key features of Freshdesk at no cost. You can easily sign up for Freshdesk free trial here.